Well they say you can never go wrong with black, I say always dazzle up your black with some gold. Gold/Golden is my favorite color when it comes to accessorizing. Most of my accessories are golden as they make it easy to style up any outfit. 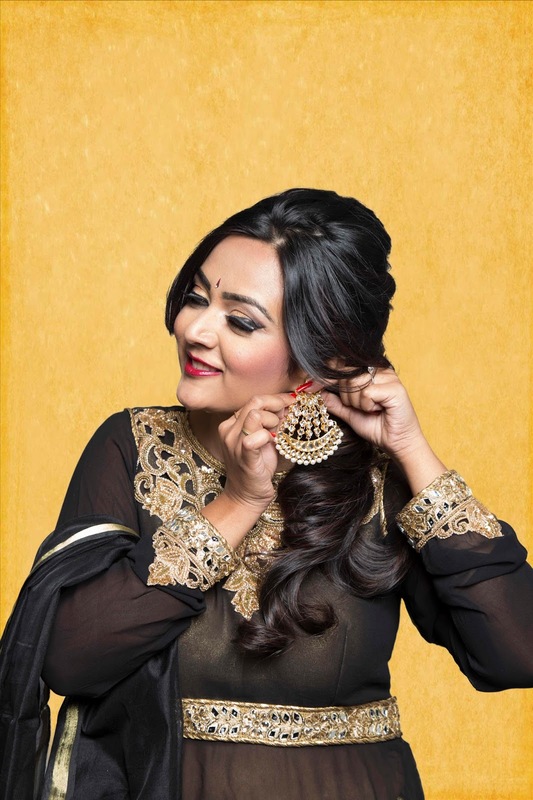 This Salwar suit proves me yet again that the classic combination of black and gold is unbeatable ! If you are bored and have no time to drape a saree for an indian occasion then your best choice is a salwar suit. Depending on the occasion you could choose a simple suit or a grand one. 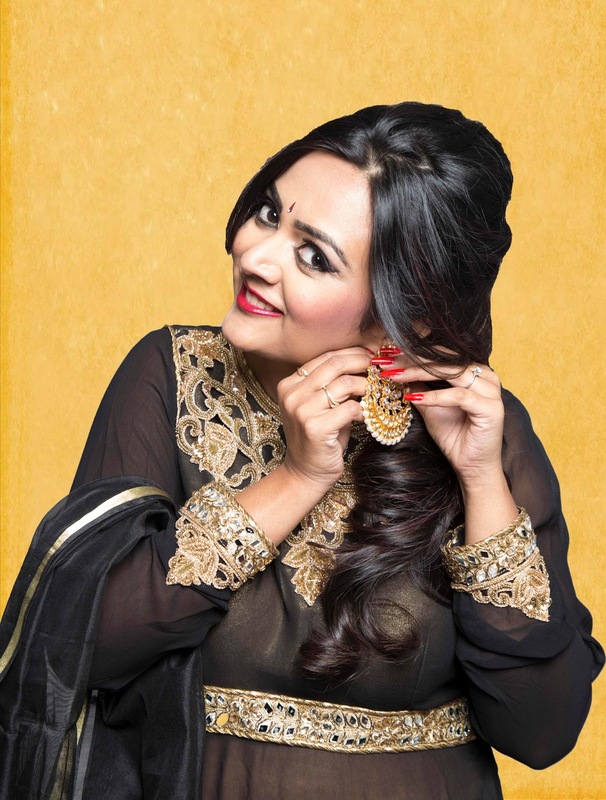 Here I am wearing a custom designed suit from Glameve.com.In this outfit he black and gold are used in right quantities so the color blocking results in a elegant cocktail salwar suit. The comfort of these straight wide legged pants need to be experienced and not just written about. Yes for those special occasions where you wear a dress for a long day, comfort with style is a great option to have, don't you agree ?? This look is from seattle-based online boutique store called Glameve Fashion(www.glameve.com). Its a boutique store, which specializes in custom made outfits and they ship all over USA, Canada and India. In addition to designer wear they also have a wide range of ready to ship items ranging from Sarees, gowns, lehenghas and accessories. They also provide consulting services and custom design options to individual customers so if you have any queries fell free to email them at support@ glameve.com. I absolutely felt glamorous in this salwar suit. The golden cut work lace on the neckline and the end of sleeves give the outfit a rich appeal. The golden embellishments( latkans) are a fine way to detail this outfit. This style of salwar suit is also called as a Sharara. I have added a small nose pin inspired by the Mastani trend that seems to stay in for long now. I love the overall look and comfort attached to this outfit and would definitely recommend it for a special occasion or cocktail party that you wanna attend next ! While I wait for a right occasion to flaunt this dress, you don't forget to like their facebook page HERE. Hello Beautiful! I like your dress, color brings a lot of energy. The salwar suit is also beautiful. Beautiful... great for ethnic occasions.. I love the golden work . So charming . Even ur jewellery is pretty amazing !! lovely post , I fell in love with your earring . Do visit my blog and let me know what you think about my new post . Those jhumkas are to die for!